MORAGA, Calif.- The University of California Golden Bears (2-3) and the hosting Saint Mary Gaels (3-4). The two teams are only separated by a short 13-mile drive from each other. Yet, this would be the first time in 30 years these two Bay Area teams would play each other. The Gaels would send the Golden Bears back home with an 84-71 loss. Tucked away in the mountains of Northern California is the McKeon Pavilion home of the St. Mary’s Gaels basketball team. The arena only seats 3,500 people but the gym is loud and chaotic. The noise started during warmups as the band prepared their trumpets. With every made shot the crowd would intensify. Especially when knocking down long-range shots from the likes of Junior guard Tanner Krebs who started the game red hot - making all 3 of his shots from behind the arc. “When I seen that first one go in, it kind gave me a little confidence to go from there. The second and third just kind of felt really nice,” Krebb said. “My guys did a great job of finding me in open spots and I was able to knock them down tonight. Cal came into the game a heavy underdog but you could not tell from the opening minutes of the first half. Sophomore guard-forward tandem, Darius McNeill and Justice Sueing both shot perfect from the field to make it 21-18. That would be the last time the Golden Bears would get close to the lead. The Gaels took off, grabbing seemingly every possible defensive rebound. This defensive boarding effort would be led by Senior center Jordan Hunter, who grabbed five rebounds in the first half. Sophomore forward Malik Fitts added 10 first half points for the Gaels. However, Krebs would lead all scorers with 11 first half points. With Fitts and Krebs leading the way the Gaels would end the half up 45-30 over the Golden Bears. The second half would be much of the same as the first. The Bears played with passion, hitting big-time shots and moving quickly on defense. Sophomore guard Paris Austin was the biggest contributor. Slashing through the lane with a euro-step for a layup. Then on the next play penetrating the defense and kicking the ball out to an open shooter on the wing. The momentum the Bears had going was snapped by Hunter who would block an Austin layup at the rim. Turn and sprint the length of the court to catch an alley-oop dunk, while drawing a foul. The Gaels would pour it on, increasing the lead to 23 points with 14 minutes remaining in the second half. The three-point barrage would not stop. Ford would add a make of his own, finishing the game with 16 points. As well as Dan Fotu who made four himself, totaling 16 points for the game. Fitts led the game with 19 points, on 7-of-10 shooting. 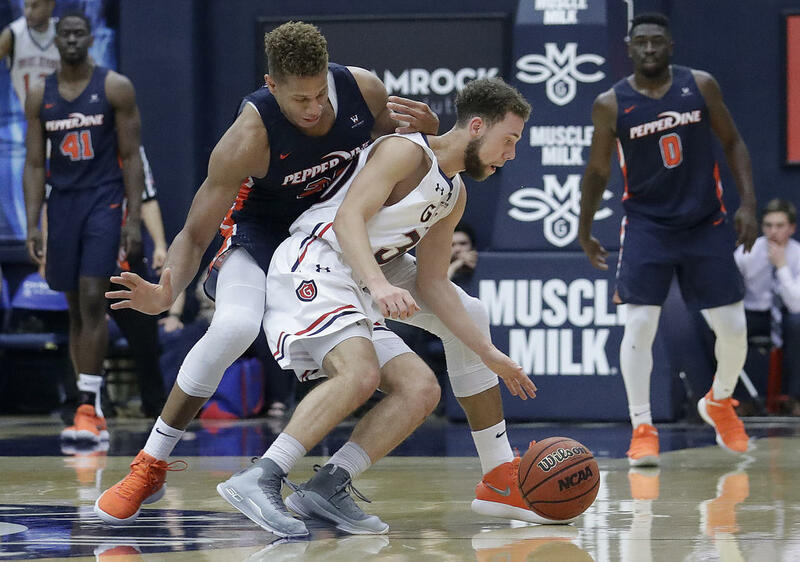 The Gaels’ offensive and defensive attacks would prove to be too much for the Bears to overcome. Never being able to rally back as the Gaels did what they intended to accomplish by protecting their home court and winning the game. Saint Mary’s will host the Bethune-Cookman Wildcats (4-4,) on Tuesday as the Wildcats travel across the country from Daytona Beach, Florida. As for the Golden Bears, they will play another West Coast Conference team, the San Francisco Dons (7-1). This will be a cross-bay matchup as the teams are divided by San Francisco Bay.